La civiltà dei superluoghi focuses on outlets, tertiary centres of interchange, airports, railway stations, fashion districts and shopping malls, those new, successful and very highly frequented places that are transforming the metropolitan territory. In an increasingly technological and consumerist society, transformation of the territory is often dominated by superplaces , multifunctional, non-relational spaces, insensitive to context, with an extraordinary broad base of users whose identity has nothing to do with belonging to the place . These contemporary environments subvert the principle of proximity and the relation between space and time, principles and relations that guided town planning over the last century: they are places of power, created outside of a dialogue with the 20th century metropolis. Bringing together the threads of this relationship means accepting the extraordinary character that lies in the prefix super , means understanding and not rejecting superplaces within the design of future cities. 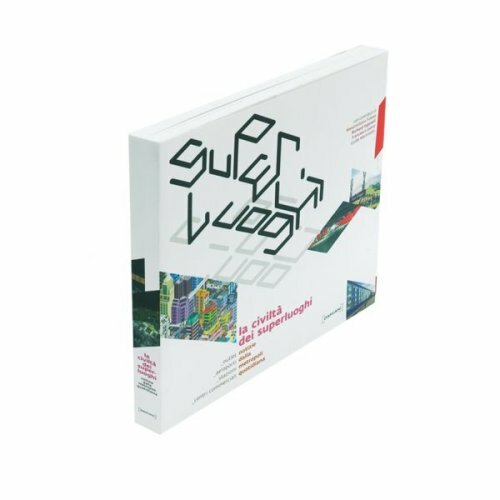 The essays in this book put forward hypotheses of response to the planning and management problems arising from superplaces , seeking to understand whether these new multifunctional spaces are the urban laboratories of the twenty-first century. The phenomenology of superplaces is reconstructed through fact sheets, data and interviews, subdivided into three distinct multidisciplinary sections: Glances , Representations and Geographies . The texts are accompanied by abundant iconographic material, with photographs by Francesco Jodice, Alessandra Chemollo, Fulvio Orsenigo, Andrea Botto, Moreno Maggi, Mariella Boccadoro and Salvatore Gozzo.